I'm presenting at the Aile Conference 2011, next August, in Salt Lake City, Utah. This is an interesting experience for me, as it is the first paper, and the first conference participation. It happened to be the best Agile conference in the world. 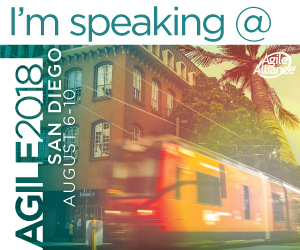 My paper is titled: "Process Increments: An Agile Approach to Software Process Improvement". You can browse the abstract and the conference proposal at this link.